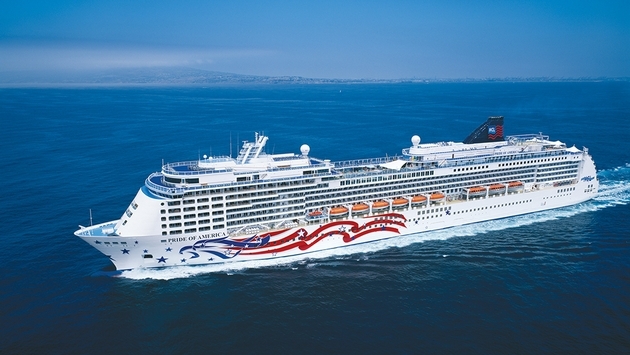 As Tropical Storm Ana gained strength and threatened the Hawaiian Islands, Norwegian Cruise Line’s Pride of America (pictured above) made some minor adjustments to its itinerary. The ship, originally scheduled to arrive early Oct. 18, will instead dock in Honolulu the evening of Oct. 17 after spending the day cruising by the Napali Coast. 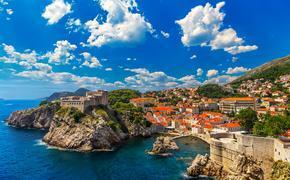 The company said it expects embarkation for the Oct. 18 voyage will proceed as scheduled. However, it recommended that guests monitor the line’s website for any possible changes. At midday, the Central Pacific Hurricane Center said Tropical Storm Ana was about 250 miles south of Hilo, Hawaii, and 420 miles south southeast of Honolulu. It was nearing hurricane strength with sustained winds of up to 70 mph with higher gusts. At its current track, the center of Ana will pass about 125 miles southwest of the Big Island late Oct. 17 and about 130 miles southwest of the rest of the islands over the weekend. The Big Island could be in for some heavy rain of 6-8 inches and possibly up to 12 inches in some areas, which could cause flash floods and mud slides.